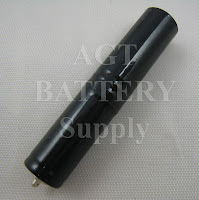 All About Batteries, AGT Battery Supply: Is The NRN4974 Minitor II Battery Still Made By Motorola? Is The NRN4974 Minitor II Battery Still Made By Motorola? is no longer produced by Motorola. However we still stock the high quality generic replacement. The AGT Battery part number is AG4974. We sell hundreds and the return rate is 1% or less. So fire departments can still serive their Minitor II with replacement batteries.